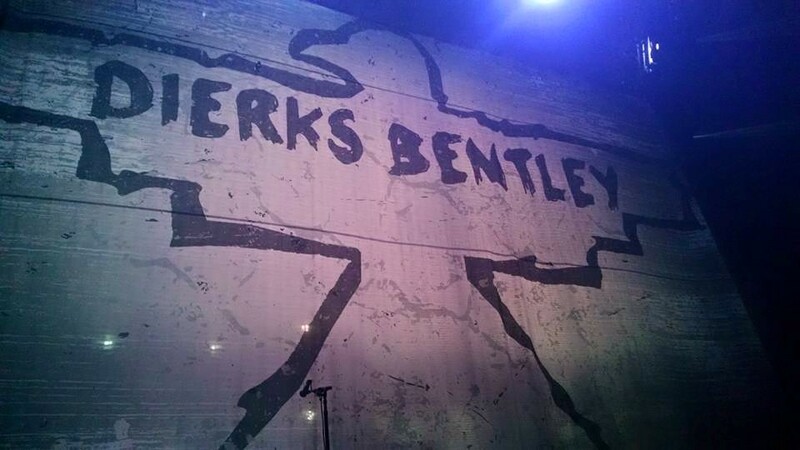 The summer concert season got off to a hot start (literally and figuratively) as Dierks Bentley kicked off his “Sounds of Summer” tour in Raleigh, NC on Friday, June 5, 2015. 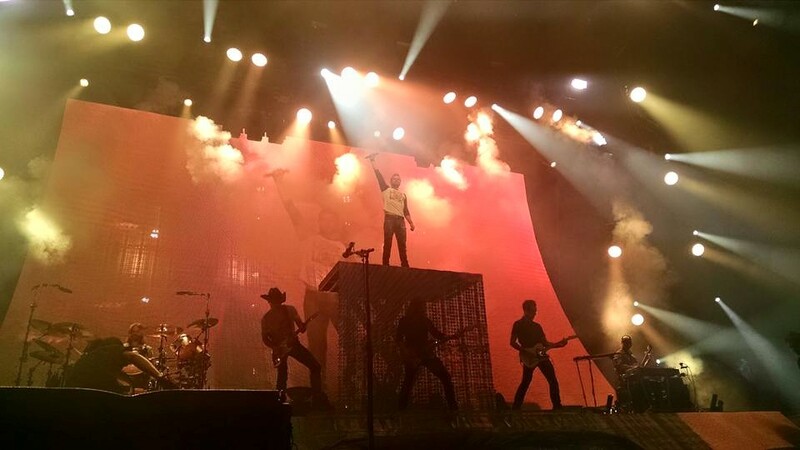 This is Dierks’ second year headlining the major amphitheaters across North America, and he, as always, gave fans a high energy show that packs a ton of punch! Canaan Smith kicked the night off promptly at 7 pm with a 5-6 song set which included his current hit single “Love You Like That,” as well as “Two Lane Road” and a cover of Nick Jonas’ “Chains.” Canaan’s music isn’t really my cup of tea, but he put on an enthusiastic and energetic performance to get the night started. I met him before the show out at the box office, and he was very nice! Promptly at 8:15, Kip Moore took the stage, opening with the rousing anthemic song “Wild Ones,” the title track off his upcoming album. He then threw it back, so to speak, to his debut album with “Crazy One More Time” and “Reckless” before getting the crowd worked up with his hit single “Beer Money,” followed by an awesome cover of Jimmy Eat World’s “The Middle!” I’ve only seen Kip one other time, at the Grand Ole Opry for a 3-song set, and was really looking forward to this longer set. 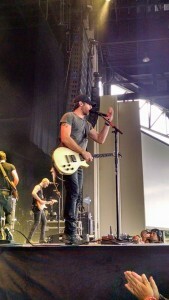 Kip didn’t disappoint – his gravelly vocals sounded fantastic on “Hey Pretty Girl” which he then blended into “Stand by Me”. 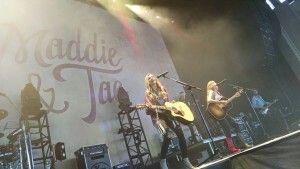 New songs included were his current single “I’m to Blame,” (which feels even shorter in a live setting), “Come and Get It,” and “Magic.” The set closed with Kip’s quirky #1 hit “Somethin’ ‘Bout a Truck” (which coincidentally was Dierks’ walkout music for the Locked and Reloaded Tour in 2013! ), which the crowd loved! He also made a point of calling out all of the faces he recognized down front, his long-time followers, and exclaimed “We did it!” “I Hold On” turned into a massive singalong, with the crowd positively screaming the song back to Dierks. The tour showcased the live debut of “Sounds of Summer” which included another singalong, with Dierks remarking that was his “favorite sound of summer.” Upcoming single “Riser” was absolutely a highlight of the evening, as Dierks was lifted into the air as part of the stage came up. His performance was strong, stirring, and triumphant. Of course that meant that he hadn’t done the two biggest songs of his career, and sure enough, a video started to play of he and band members Cassidy and Dan attempting to “hood slide like Bo Duke.” It was pretty hilarious, especially when the General Lee and “Bo Duke” himself showed up. 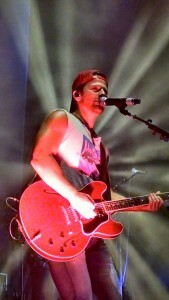 Of course that meant that “What Was I Thinkin” was coming, and the crowd was whipped into a frenzy once again. But nothing could top the response to show closing “Drunk on a Plane.” It was one massive sing along, and ended with more fireworks. 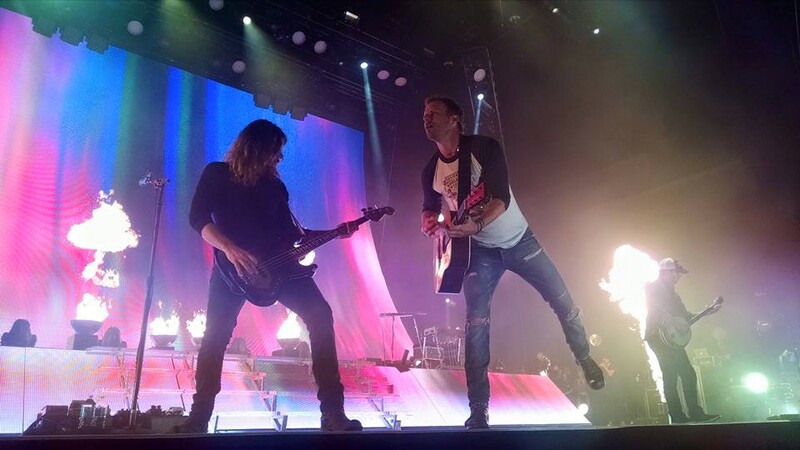 Dierks said he wanted to make sure the “Sounds of Summer” Tour was the best tour of the summer, and I would say he’ll make good on that promise for many fans. He continues to put on a high energy show full of crowd interaction and look like he’s having the time of his life the entire time. He’s also good to his openers, inviting Kip Moore out during “Lot of Leavin’ Left to Do,” and Maddie & Tae and Canaan joined him for “Free & Easy.” All four acts seem to get along really well, and even on night one there was an ease among them. If you have the chance to catch this tour, I highly recommend it!